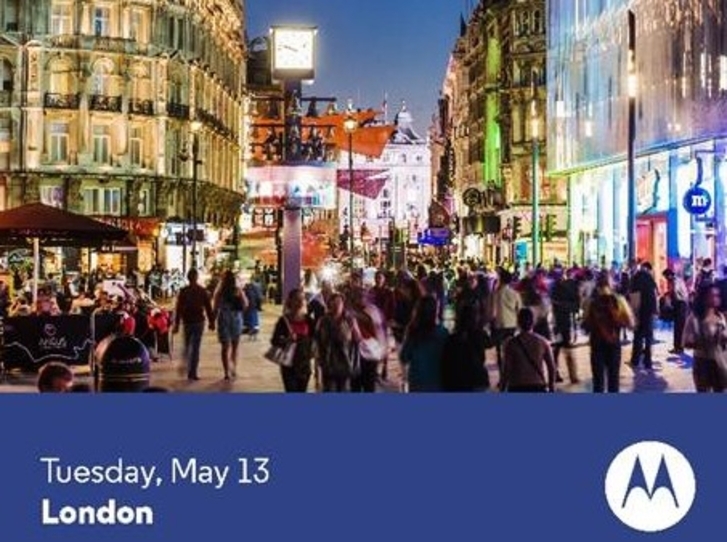 News outlets with a UK presence are receiving invites this morning from Motorola for an event that is scheduled to take place in London on May 13. Motorola will unveil a new smartphone, though it will likely be the rumored Moto E, which is yet another phone created for emerging markets, much like the Moto G. Don’t believe me? Go ahead and read the invite and you will see. The invite states that if you “connect more people to the world’s information and each other, and they can do great things.” It also mentions that the “next” smartphone from Motorola has been created to “make these connections happen,” that it is “made to last,” and “priced for all.” If that doesn’t scream mid to low-range, Moto G-like device, I don’t know what does. The Moto E specs look like this – 4.3-inch 720p display, 1GB RAM, 1.2GHz dual-core processor, 5MP camera, and a 1900mAh battery. Don’t expect the Moto 360 to be on hand. Motorola will more than likely time the release of their smartwatch around the time of the next Moto X. Those aren’t coming until late summer, folks.